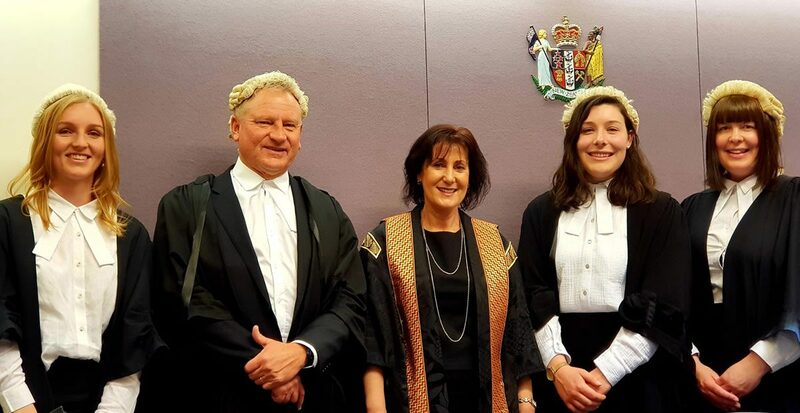 On Friday 2nd November at the Palmerston North High Court, the courtroom was filled to the brim for the admission of Lauren Fargher from our office and Brianna Freebairn (another local Palmerston North law graduate) to the roll of barristers and solicitors. Every seat was full of family, friends, colleagues and even the docks were filled with Innes Dean Tararua Law staff. Justice Thomas made her address and said how wonderful it was to see two women commencing their legal careers here in the Manawatu. 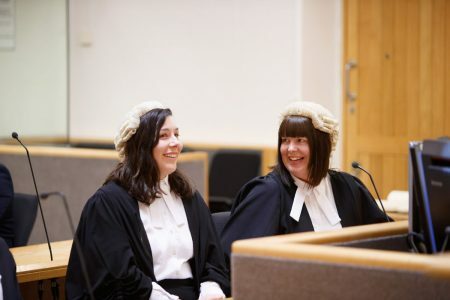 As Lauren herself says, “It was such a privilege to be able to be admitted to the bar in Palmerston North, it made the experience that much more special and memorable. It was a fantastic feeling after many years of hard work to be officially admitted as a barrister and solicitor so I can now commence my legal career”. Innes Dean Tararua Law are proud to have Lauren as a solicitor in their legal team.